Log into the website with a POST request. Download the protected data with a GET request. All this had to be done using SSL, and I suspected I’d need to handle cookies too. I had read that libcurl had support for sessions and cookies spanning multiple requests, and knew that it could handle SSL. I was aware there is a Haskell binding to libcurl (aptly named “curl” but hereafter referred to as Network.Curl to avoid confusion) on Hackage so I had my tools cut out for me. While I had used the command line curl utility quite a bit I had never programmed against libcurl before and had some learning to do. It wasn’t entirely clear to me from the haddocks how to use Network.Curl. This may not be a problem if you are familiar with libcurl already (I couldn’t tell) but for me it was quite a hurdle. Googling on the topic I found some blogged examples that got me started but I was unable to find an example demonstrating a multi-request session. However, with the basics from the blogs I was able to return to Network.Curl and figure things out by inspecting its source code. I’ll share an example here for the benefit of others who find themselves in the same situation. I’m using version 1.3.4 of Network.Curl. > -- option for lots of info on STDOUT. > -- | Additional options to simulate submitting the login form. >   -- pattern match failure if incorrect number of args provided). >   -- Initialize curl instance. >   -- POST request to login. >     then error $ "Failed to log in: "
>       -- GET request to fetch account page. >         then error $ "Failed to retrieve account page: "
Call do_curl with the URL and request-specific options. Repeat from 3 until done. Note that the all used of libcurl should be wrapped by withCurlDo. In the example I wrapped the entire body of main. Also note that the type of do_curl_ must be specified explicitly unless it can be inferred by later use. The CurlResponse type specified above uses vanilla Strings for everything. For the POST request I added some CurlPostFields to the method_POST options predefined in the Network.Curl. For the GET request’s options since the predefined method_GET is sufficient. A GitHub-specific peculiarity here is the error checking after the POST request. GitHub returns a 302 (“Moved Temporarily”) on successful login and a 200 (“OK”) when the credentials are bad. Stuff like this needs to be figured out on a site-by-site basis. > -- | Extracts the token from GitHub account HTML page. 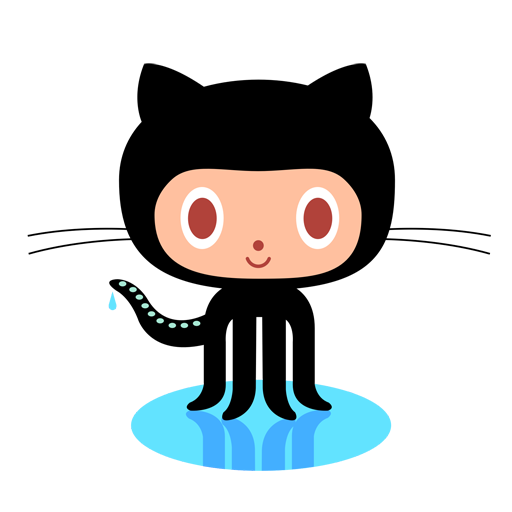 >     (_,_,_,xs)  = body =~ "github\\.token (.+)"
If you Load this code in ghci and type :main username password the Octocat will deliver your token.